It seems that everyone loves honeybees and everyone wants to save them. Of course they do. Honeybees give us honey, they pollinate our crops, kids like them, and they’re great for science outreach. But despite their endearing, cuddlesome nature, I have issues with honeybees. Firstly, they’re exotic to New Zealand, some would even say invasive, and they’re probably having negative impacts on our native biodiversity. Secondly, I think they’re crying wolf (at least in New Zealand). The general public have a terrible misconception about bees; when people think about bees they inherently think of honeybees. That’s it. One bee. Let’s save it, or we’ll all die. In New Zealand, the deluded media continues to wheeze and waffle about honeybees in peril, yet hive numbers have increased from 300,000 in 2000 to 685,000 in 2016. That’s a whopping 120% increase! Meanwhile, native bees continue to go unnoticed and unrecognised. Change in the number of registered honeybee hives in New Zealand from 2000-2016. The red dashed line is when Varroa was first detected in New Zealand. Unfortunately, few people know that there are over 20,000 bee species in the world and most of them don’t live in a colony with a queen. Rather, they live solitary lives and nest in the ground or in plant material. Globally, native bees, in combination with other wild insects, contribute more to crop pollination than honeybees. But unlike honeybees which are managed by humans, native bees are strongly affected by the bad things that humans do (e.g., agriculture, urbanisation, pesticides, climate change and invasive species). In addition, evidence is mounting that honeybees have negative impacts on wild insects, largely through competition. I’m not saying that we should forget about honeybees altogether and let Varroa have its way with them. They’re important pollinators of many crops and make manuka honey that cashed up baby boomers pay $1,000/kg for to treat their pinot noir induced acid reflux. But it seems dumb to rely on a single species to do all the pollination. It’s akin to “putting all your eggs in one basket”. Resilience comes in the form of biodiversity. When we have lots of biodiversity we have many species that are equally capable of doing the job. For example, if we have 10 pollinator species that are equally good at pollinating a crop and for some reason five species go extinct, we still have five species left. However, if we have one species and it goes extinct, that’s it, game over. So how can we save the bees? Our native bees? Essentially they need natural habitat, which provides floral and nesting resources. In New Zealand, native bees are active from September to February and require flowers (preferably natives!) throughout that period. They also require sites for nesting; small holes (2-3 mm) in timber/plant material for cavity nesting species and areas of warm, well drained bare earth for ground nesting species. These solutions are feasible on a small scale (i.e., in urban gardens), but the real problem is at a much larger scale, where agricultural intensification threatens to wipe out native bee populations. Therefore, to “save the bees” perhaps we need to move beyond the capitalist dream of monocultures, mono-pollinators and massive profits, and instead vie for diverse production systems that truly value biodiversity. For an up-to-date assessment on the global status, trends and threats to pollinators and pollination check out: the assessment report of the Intergovernmental Science-Policy Platform on Biodiversity and Ecosystem Services (IPBES) on pollinators, pollination and food production. Biosecurity, School of Biological Sciences, University of Auckland. He is interested in how functional traits influence ecosystem function and species’ responses to environmental change in pollination systems. He is supervised by Jacqueline Beggs, Anne Gaskett, David Pattemore and Nacho Bartomeus. In our urbanised society people still have a deep relation to forests. A forest is a place to recover from noisy city live, a place to do sports without the smell of a sweaty gym or just an environment to find oneself. Unfortunately, most people do not know about the complex ecosystem services, forests provide worldwide. Carbon storage, water regulation and supply to timber production are only a few of them! Furthermore, even single city trees are proven to have economic and health benefits like filtering fine particles and reducing stress. Nevertheless, the trees of our world are threatened by deforestation, invasive species, soil degradation and of course climate change. We all like our high standard of living; with fancy cars, travelling around the world and exotic food but sometimes we should remember that our own consumer behaviour affects the conditions of forests. The Food and Agriculture Organization of the United Nations (FAO) is an intergovernmental organization with 194 member countries to achieve food security for all. The United Nations General Assembly of the FAO proclaimed the 21th of March as the International Day of Forests (IDF) in 2012 to underline the importance of all types of forests and their threats. The versatile services of the forest ecosystems in ecology AND economy lead to the theme of 2017: Forests & Energy, chosen by the Collaborative Partnership on Forests. Whereas saving forests from logging is not only environmental protection, the timber energy sector is an important employer in both, developing and industrialized countries. With the growing demand for wood as aresource for renewable energy, sustainable forest management is at least as important as 300 years ago, when Hans Carl von Carlowitz first described the concept of sustainability in his book Sylvicultura oeconomica (1713). If you want to give something back to the forests, join in and plant a tree 🙂 For example on Motutapu Island. There are many activities involving forests and trees around the International Day of Forests or just get out to your favourite local forest for the day and share a picture. Melanie Zacharias is an intern in the Centre of Biodiversity and Biosecurity, School of Biological Sciences, University of Auckland supervised by Cate Macinnis-Ng. She recently completed a MSc in forestry at the University of Technology Dresden, Germany. With it being St Patrick’s day, I thought it appropriate to give you a little overview of one aspect of my research, population growth modelling, with a Paddy’s day theme. Factoid- Student’s t-test was developed by William Sealy Gosset (publishing under the pseudonym Student) while working as a chemist at Guinness brewery. Every year about this time, NZ experiences a mass migration of barrels of Guinness that require population management. Luckily, NZ has a biosecurity team of 4.7M people to help deal with this population outbreak (perhaps this isn’t what contributors to the Biosecurity 2025 document had in mind). Developing a population growth model, is a key aspect to developing a management strategy. This isn’t readily available for some modelling targets, but luckily the biology of Guinness is well documented and experienced, so few assumptions are required. While it does appear in hotels throughout the country for much of the year, it isn’t until we see the migration, that the shear overload causes additional pubs to sprout taps to dispense this nutritious bounty. During non-outbreak periods, population replacement approximately matches mortality. However, we’ve discovered that on March 17, during a peak outbreak time, population density displays exponential growth. It is a wonder that we don’t see masses of migrating Guinness pints moving about the landscape, but we find that nature has a unique way of dealing with the bounty. During times of plenty, particularly Paddy’s day, natural Guinness niches (pubs) produce music that is heard over a large area, and this brings in Guinness’ natural predator… Homo sapiens. The probability of H. sapiens being attracted to Guinness as a function of distance has been tested for quiet niches. During the Paddy’s day celebration, the number of individuals arriving at niches is 37 times greater than average. It is assumed that this increase in attraction range is due to the sound produced by the various Irish bands and clinking of glasses. Having this larger area of attraction increases the probability of Guinness being consumed, thus the probability of survival is reduced. With Nconsumers_music a function of the number of consumers expected to be attracted per ha with the increase in the attractive range of the niche with music over a quiet niche. We find that population growth changes from a predicted λ = 0.04 (without music) to λ = -0.002 (with music). If we start with an initial population of 1000 pints of Guinness, then we are likely to have 16 h before a musical pub runs dry. Of course, there will be variation around some of these estimates, especially climatic conditions. Canterbury for example has warm dry conditions predicted. This favours a rapid decline of the population (an additional 5%), further with Paddy’s day occurring on a Friday allowing for a sleep-in the following day, it is expected that the Guinness survival rate (warm and dry + sleep-in) will be 10% lower than λ = -0.002 estimated above to λ = -0.025, so population will be expected to only last ~3h. By understanding a little about the potential growth rates of a population we can estimate the probability of survival of a population. It appears that for this year at least Guinness population will be managed naturally by the sleep-in, however, if pubs wish to increase the mortality rate the Guinness, increasing the ambient temperature of the pub will reduce Guinness survival rates. Please note, many data were harmed during the writing of this piece. This post is slightly different from my usual efforts, mostly because I’m in the last (although it seems never ending) stages of writing up my thesis and it’s all my brain can think about at the moment. As I haven’t successfully handed in my thesis yet I’m not sure if I am qualified to give advice but here goes anyway. Start writing early – this is the one that everyone tells you to do and they’re right. I remember very clearly at the start of my PhD thinking that I was definitely going to do this and I would be done with the writing at least a few months before my final deadline, giving me plenty of time for the final edits and formatting etc. This has not happened. Whilst I had done my literature review and first chapter fairly early on, I wish I had done more. So keep writing throughout, your future self will thank you. Find a method that works well for you – I use the Pomodoro technique; you can find out more about it here. I’ve also found that for me, when I’m just writing I work best at home (its quiet, I can sit out on the deck and there are plenty of snacks close at hand – see point 7). But I know many people that prefer writing at cafes or in the office – just find what works for you. Make sure you take proper breaks, even if it’s just for a few hours outside for a walk (getting out into nature also has many mental-health benefits), but preferably for at least a whole day now and again. I wish I had done more of this over the last few months because the occasions when I have had some time away from the thesis I am always much more productive when I get back to it. Just try and ignore the ‘I should be writing’ thoughts. Accept that some days aren’t going to be as productive as others & everything takes longer than you expect. Don’t worry to much about getting everything word prefect in you’re first draft. Take it one task at a time – there have been a few times in the last couple of weeks where I have been pretty overwhelmed with everything I have left to do (obviously if you have followed point number one you won’t have this problem). This is where I have found taking a break (go outside for that walk) and just planning what I need to get done that day or over the next couple of days and focussing on that, to be really helpful. Having smaller deadlines can help too. Snacks – never underestimate the importance of good snacks. Or tea. Stop procrastating & get back to work! There is plenty of useful information out there from people who have actually successfully finished their thesis’, there are a few links below & feel free to leave some tips in the comments. Anyhoo, I better get back to it – wish me luck. 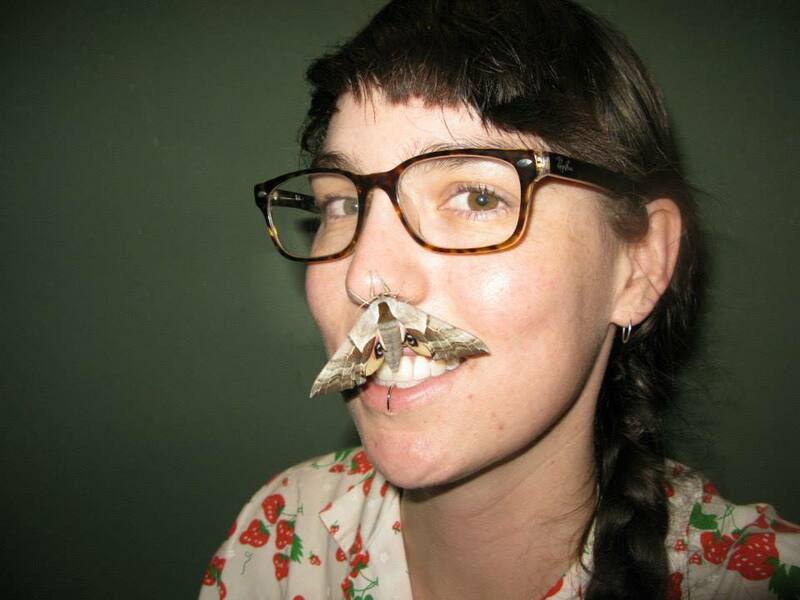 Alice B aranyovits is a PhD student at the School of Biological Sciences, University of Auckland. She is researching kererū (NZ pigeon; Hemiphaga novaeseelandiae) in urban areas. She is supervised by Jacqueline Beggs, Mick Clout, Todd Dennis & George Perry. From effects of artificial light on wildlife to sexual selection and weaponry of spiders and stress responses of seabirds, there is some really neat research being produced by students within our wider lab group. In my opinion, one of the best things about being a PhD student is engaging with scientists conducting interesting research outside of my own field, and in some cases, having the opportunity to tag along and help them in the field. I had this pleasure last month, when I went down to Pureora Forest Park, where PhD student Kat Collier is researching the New Zealand lesser short-tailed bat Mystacina tuberculata. The opportunity to get up close and personal with a native New Zealand mammal is something that not many people, let alone many other scientists, often have the opportunity of doing. And whilst I had an enjoyable time out in the forest (which makes a nice change from the open scrub ecosystems I work in for my ant research), I also came back with some new skills and understanding of different ecological methods, such as radio-tracking and harp and mist netting for bats. Going out into the field with other researchers is a great way to provide what is often much needed field assistance and support, as well as broaden your own personal skill set, which you may not have the opportunity to do within the limits of your own research. It’s also a great way to realise what you don’t like. Overall, I think it helps to make you a more rounded ecologist and is a great excuse to get out the office and have a break from your own research.